Halloween is upon us, and what better time to shine a mist drenched gaslight on a somewhat reclusive local writer of paranormal fiction and arguably his creepiest creation to date, The Mischief Maker; a Brighton set ghost story with a hell of a hook. Its writer, Simon Maree, a proud Hove resident, is something of an authority on spooks and spectres of the non-fictional variety, having studied Paganism, the Occult and even demonology for decades. 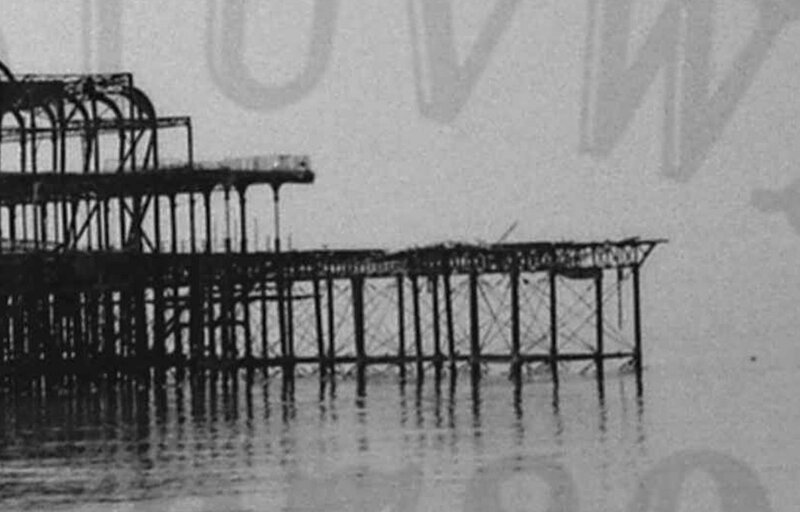 The book itself is the deceptively simple tale of a poltergeist haunting that takes place in a regular, non-descript two storey semi-detached house on a fictional Brighton street that intersects Kingsway somewhere near the Palace Pier. What sets it apart from other ghost stories is the fact that it is told from the point of view, and narrated by, the entity in question. Joe (as he calls himself in honour of his hero, Joe Strummer) is not some all-knowing, omnipotent, malevolent force of darkness. In fact, he is bored, opiniated, often over emotional, a wee bit ADHD and more than a little confused about his role in the greater scheme of things. He also happens to be falling in love with his latest charge, the feisty teenaged Harriet, and this sends his already considerable levels of existential angst spiralling wildly off the EMF metre. During the course of the story, it becomes clear that even Joe isn’t sure exactly what he is or why he’s here, any more than any of us mortals are. Joe’s story is, in turns, rather disturbing, hysterically funny and desperately, desperately melancholy, as he tries to impress, and even nurture Harriet, eventually being forced to protect her against something a lot darker and more frightening than himself. The book is loaded with pop culture references (Joe is surprisingly knowledgeable and highly opiniated on any number of mundane subjects ranging from eighties electronic music through the works of Hunter S Thompson to Tarantino movies), Easter eggs relating to real life poltergeist cases and thought-provoking theories on the nature of spirituality, the paranormal and the transference of energy in general. Its downbeat finale is more of an open question than an ending, and it leaves the reader howling for more. If ever a novel merited a sequel, it is The Mischief Maker, although we may be disappointed for now at least, as Maree says he has no plans to resurrect (pun intended) Joe in the near future. A review of The Mischief Maker has called it ‘A Screwtape Letters for the punk generation’, but this writer feels that it owes just as much to Wilde’s Canterville Ghost, Clive Barker’s The Yattering and Jack and even Terry Pratchett and Neil Gaiman’s Good Omens. High praise indeed, but Maree really deserves for this highly original little slice of terror. Simon Maree’s other works include steampunk comedy The Music the Machines Make, Suffolk set folk horror Jack O’ Lantern and a forthcoming collection of paranormal themed short stories provisionally titled They Also Serve. For more information, or to purchase a Mischief Maker of your very own, go to www.gumboyaya.co.uk or your local book retailer.